ATTN: We are accepting proposals through September 1st, 2019 for exhibitions in our late winter-spring 2020 schedule. Artists/curators will be notified in early October 2019. Artists and curators of all ages are encouraged to apply for exhibition opportunities in any one of our four gallery spaces. Our exhibition schedule is booked six months in advance with proposals being reviewed by the gallery committee about every 3-4 months. Within our regular six-month schedule, we do leave slots open for pop-up shows, screenings, special performances, and weeklong exhibitions. Proposal process is competitive and we cannot accept every proposal we receive. Selections are made by our volunteer Gallery Committee comprised of community artists, curators, students, and arts professionals with the Gallery Director. 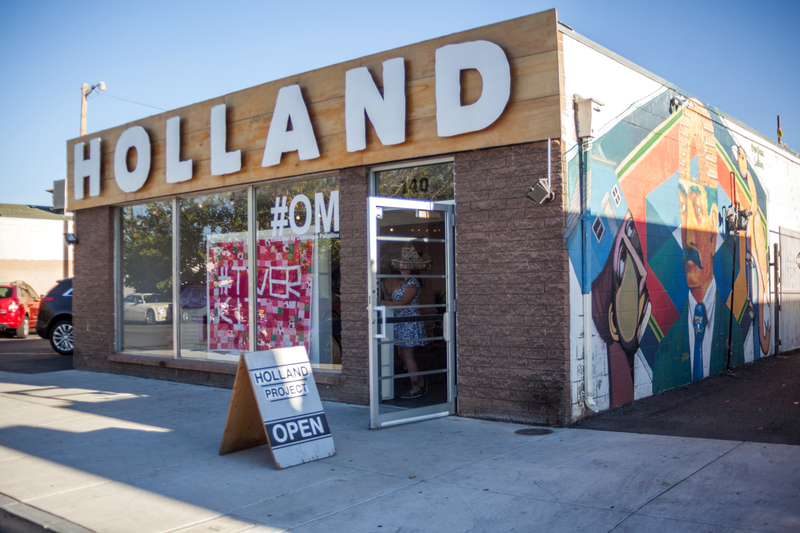 The Holland Project receives 25% commission on all art sales. Artists and curators are responsible for all travel/shipping costs related to their exhibition. Technology is available for 4-D work depending on your needs. Exhibition Proposal forms are open and can be found here >>> HPG Exhibition Proposal Form.